My Eye Secrets review is about a range of eye beauty products which all promise to provide you with quick solutions as to the lifting of the upper eyelids, tightening of the under eye skin area, improving eyes elasticity and maximizing while also nourishing eyelashes in a matter of seconds in most of the cases. It sounds impressive I would say, especially for those who seek for almost instant ways to deal with unwanted eye skin issues, so let’s get into more details about the claims of Eye Secrets, its pros and cons and eye secrets reviews. The area around the eyes is one of those vulnerable parts where the aging signs unfortunately show up the most , so that makes it more than urgent for us to try and find products which can protect our eyes beauty and restore its youthfulness as much as possible. Eye Secrets is based in U.K. and one thing I liked about this company was that they have been dedicating all of their efforts just on the area around eyes. Their range consists of 4 different products, all focusing on getting noticeably beautiful eyes in a minimum period of time. It is a small adhesive and easy to apply strip which is designed to fit all eye shapes. You just apply one on each eyelid and, according to the company, it immediately makes your eyes more prominent and young looking. So, for those who want instant results this seems to be a very practical and useful solution. The adhesive strip pushes the eyelid and the excess skin on the eyelid towards the back of the socket, giving the eyes a more open and youthful look. It seems to be a quick solution for droopy eyelids which is usually a result of aging although this condition can also appear at a young age. Makeup can easily be applied over the strip. Eye Secrets instant eyelid lift is also an economical alternative to the surgery known as “Blepharoplasty.” Such surgery involves removing the excess skin either from the upper or lower eyelids and the price tag of it can be quite expensive. Obviously, this strip can give you only a temporary solution but for that matter even the eyelid surgery may be not a permanent cure. I have personally experienced that with a close family member who had undergone a surgery and in just about 2 years the skin grew over the eyelids again. Their Under Eye Tightener is 100% hypoallergenic and suitable for sensitive skin. Pentapeptide-3 which has been clinically proven to regenerate the upper layers of the skin by stimulating the production of collagen. Collagen which is a form of protein working to connect and support other body tissues like skin, tendons, muscles and bones. 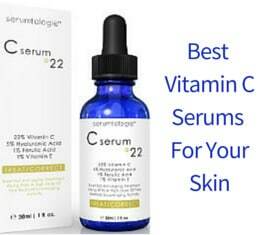 Vitamin C which is an anti-oxidant, used in skincare products for preventing the damage caused by free-radicals but also promoting new collagen production. What are some of the company’s claims about this instant eye tightener? It firms and lifts the under eyes skin area, minimizing pores and helping with puffiness. It reduces fine lines and wrinkles in under 1 minute. The results last between 10 to 12 hours. According to the company’s tests on 100 women, 76% of them experienced a reduction in wrinkles in only 60 seconds. 14% of the women also saw similar results in 1 minute and 45 seconds. These are collagen gel patches which are used to moisturize and nourish the skin. They work to restore elasticity, resulting in a youthful and radiant skin. 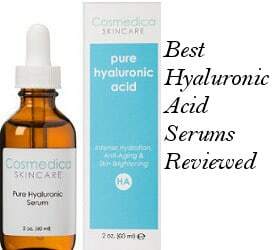 The company claims that this formulation also helps to reduce puffiness and under eye dark circles. Collagen, propylene glycol and aqua. The final eye product in the arsenal of Eye secrets is their eye lash accelerator. It is very easy to use and you need to apply it before you sleep, so it works while you are sleeping. In their clinical studies, 72% of the women who used it saw an improvement in the appearance of eye lashes within a period of 21 days. 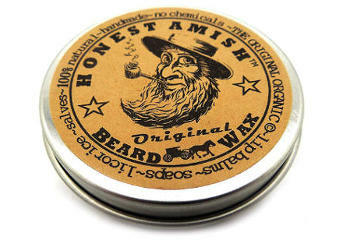 If applied correctly, one container should be enough for up to 9 months. It can also be used for very thin eyebrows. 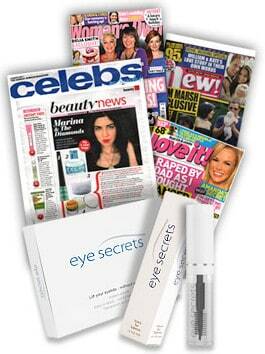 What Do Eye Secrets Reviews Say? If you do buy from Eye Secrets, you can use the discount code EYES5 TO GET A 5% DISCOUNT. Also keep in mind that you can buy all the above products in the form of a full kit or each one separately. These eye products seem to give a practical and easy solution to those who prefer quick fixes and can’t wait even one month for a cream to start working. For example, according to the company’s claims and tests, the eye tightener gives results in under or more than just one minute and so does the instant eyelid lift if you want to give a lift to your eyes and make them look a lot younger. According to the company’s claims, their products are 100% natural, hypoallergenic and there are no harmful chemicals, toxins or irritants used in them. The price is also quite reasonable and you can get a 5% discount by ordering from their official site. 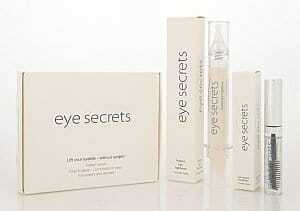 The reviews one can find about Eye Secrets come mainly from the official website of the company. Not all of the products ingredients are listed in the official site. The Eye Secrets Eye Products seem to be covering the needs of women and men who need quick alternatives to various eye skin beauty issues. The claims of these products sound quite impressive and so do the results of the tests they have been conducted. After reviewing Eye Secrets, I would say that it seems to be like a very attractive option but I would be more than pleased if I could also see some kind of money back guarantee offered by the company.